San Juanico, better known as Scorpion Bay to the American adventuring world is a still a small fishing village, even by Baja standards. However, that all changes if the south swell kicks up and then you should beware of large crowds of surfers. Well regarded for the last three decades as one of the top ten waves in all of the surfing world, Scorpion Bay has very little resources for the large crowds. The surfing world and followers chase the waves and congregate on the bluff above the waves and camp out for sometimes weeks on end for the perfect swell. The towns population can easily double or even triple. The surfing grapevine is quick to react to a possible swell, and surfers from all over the world start arriving in Scorpion Bay soon after the news of a good swell gets out. With 6 points and even more breaks there are waves for all levels of surfer. On big days the rides here can last well over a minute. If one of the points is not breaking try the river mouth south of town. If there is a west swell, you can go even farther south (approx. 17 miles) along the beach to Punta San Gregorio. The little town has four or five small restaurants, a few small grocery stores and a small hardware store, but for the most part it’s one of the most remote places on the Pacific Coast. For more than three decades, XploreBaja has been visiting the small village of San Juanico and our friends in town are both local and American. We are privileged to enjoy a few different private rental homes, which provide the peace and solitude the small town is so well known for. The water is warm beginning in June and we’ve swam comfortably into late September before. The wave is one of the most amazing waves on the planet. Stretched out from third point all the way to town, its been told that a handful of surfers have ridden the wave all the way to town. 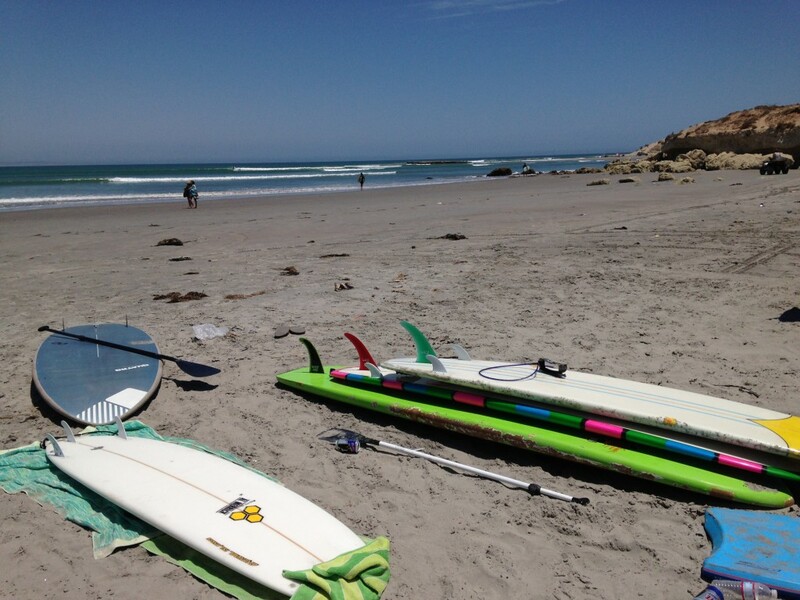 XploreBaja has introduced many clients to their first ever wave right here in San Juanico and generally they can be surfing by the their second or third wave. You can expect to enjoy the culture of the San Juanico festival if you plan it right along with long rides on the beach, something you can’t do in the USA. The area is full of day long adventures including exploring of mountain towns of San Isidro, Comodu, and La Purisima. The outstanding craftsman show their wares and you can visit a 300-year old aqueduct canal that is still used to transport fresh water to surrounding villages. A plethora of ancient Adobe historic buildings as well as meeting the people of rural Baja who all want to meet you.